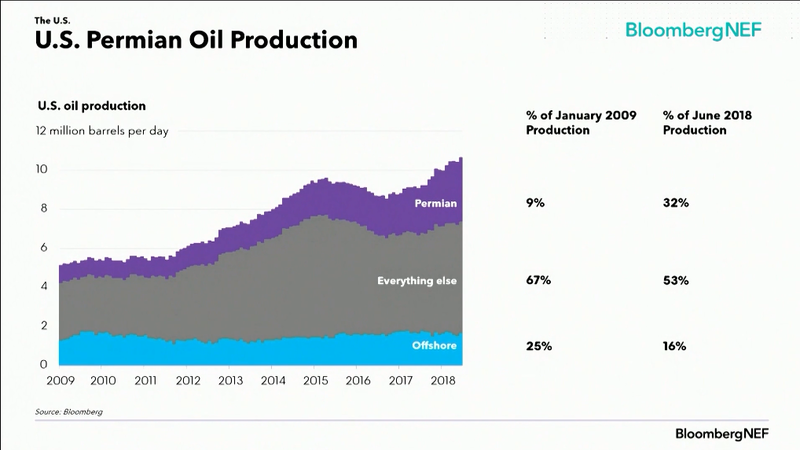 The following is a summary of key slides and comments made by Jon Moore, CEO of BNEF, from the recent The Future of Energy EMEA Summit in London, as well as some extra commentary from me. 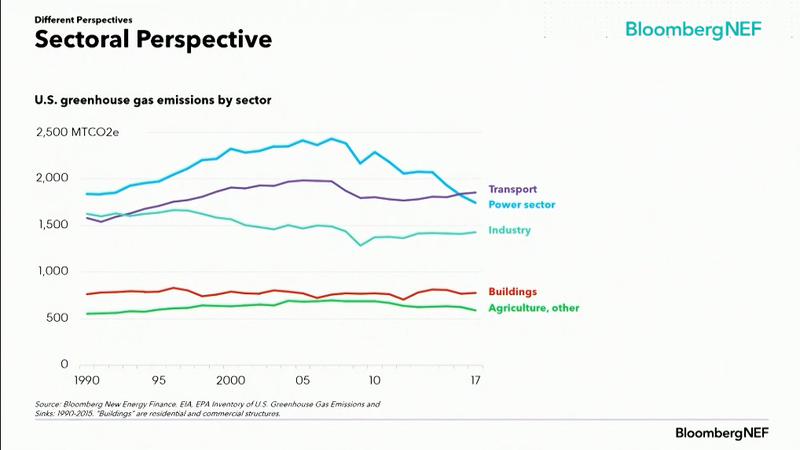 Moore notes that developed countries’ emissions are falling. However, something important to add is that they are not falling fast enough — we need to cut emissions by 7% per year if we are to cut emissions 90% by 2050, which we need to do. 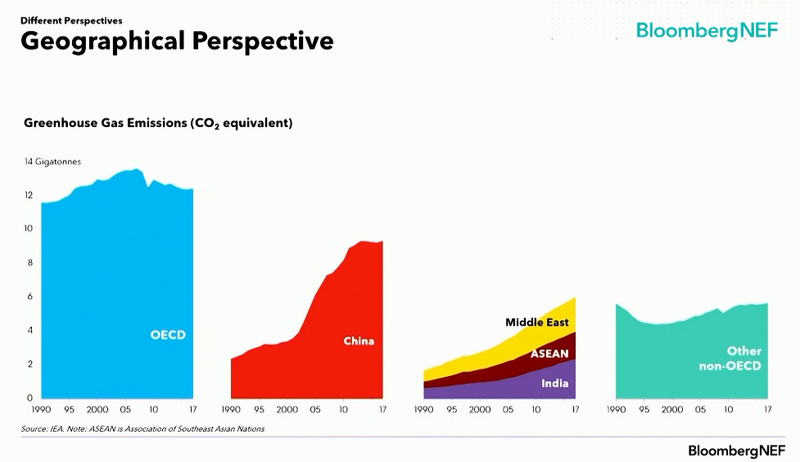 Moore notes that China is large but its emissions have peaked. That is actually quite an achievement, given that its GDP is growing by 7% per annum! The looming issue for the future is ASEAN and India. These regions currently have low emissions, but they are likely to grow rapidly. Jumping over to the US, thanks to more gas and more renewables in power generation, electricity generation is no longer the largest emitter in the world’s largest economy. Transport’s emissions will fall as EVs roll out. However, not enough is being done with emissions from industry or buildings. 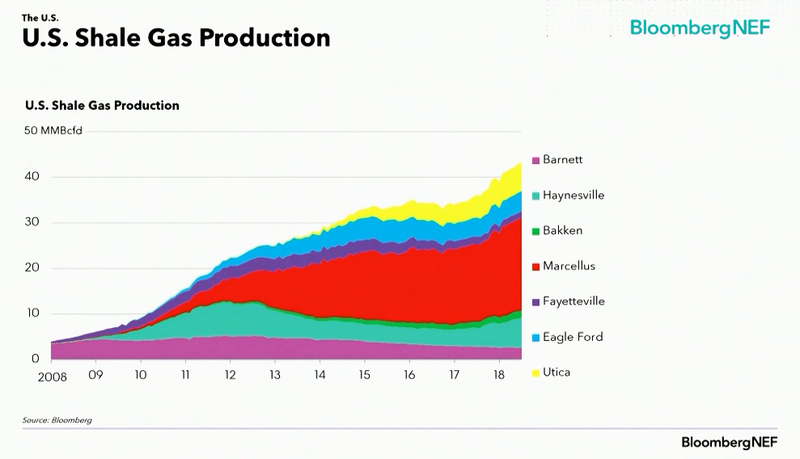 Two energy revolutions are taking place in the US: California and fracking. California is the world’s fifth largest economy. In Europe, for example, only Germany’s is larger. Its plan to achieve zero emissions by 2045 is therefore remarkable. That includes 5 million ZEVs (zero emission vehicles) in the car fleet by 2030. 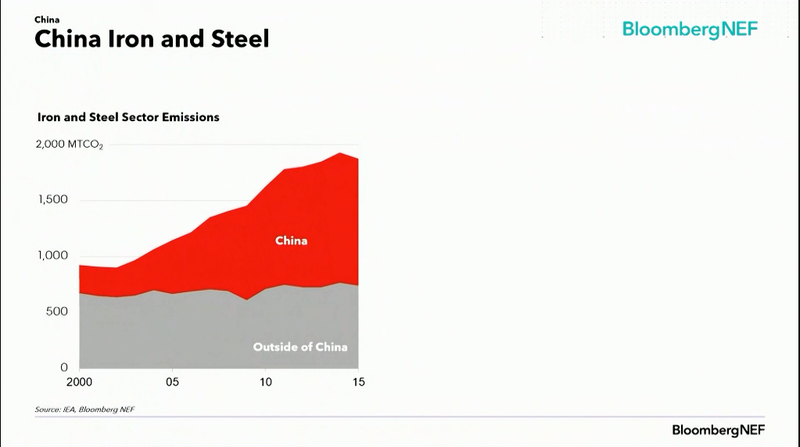 To give you some idea of China’s importance, its emissions from iron and steel are more than 50% of the world’s total. Ditto on cement. 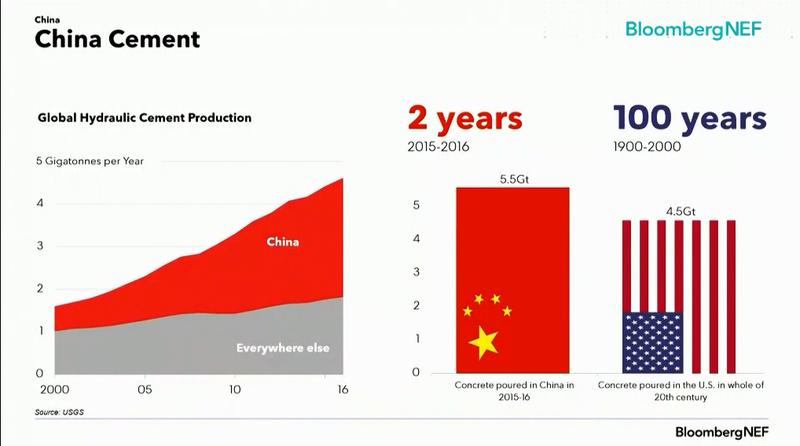 In 2015 & 2016, China’s cement production was more than the total of the US’s during the 20th century. Most of China’s electricity still comes from coal, but you can see the rapid growth of renewables. China is the single largest investor in renewables globally, with 40% of the total in 2017. Thus, emissions intensity of electricity generation has been falling by 2% per annum. I would say that is likely to accelerate. There are half a million electric buses on the road worldwide. 99% of them are in China. The total number of electric buses in just Shenzhen is greater than the total number of all buses in the North American cities with the five largest bus fleets. As a side note, don’t forget China’s electric target is 10% of sales in 2019 (with some fudging in the accounting). China is the world’s largest car market and car producer, with approximately one-third of global sales and production. India will be the most populous country on Earth in the 2020s (2022, according to the World Bank). Electricity demand is currently one-third of the USA’s. By 2050, however, India’s electricity demand is projected to be 40% larger than the USA’s. Because India started to grow rapidly only after the renewables revolution was gaining strength, unlike China, its new sources of power will not be fossil fuels but renewables. 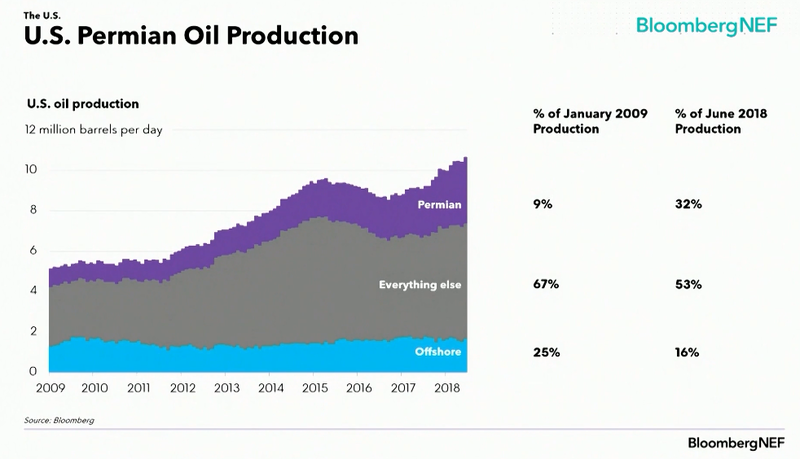 Fossil fuels will go from 63% of the mix to 16%, according to BNEF. 3 million passenger vehicles are sold in India every year, half a million of them 3-wheelers. 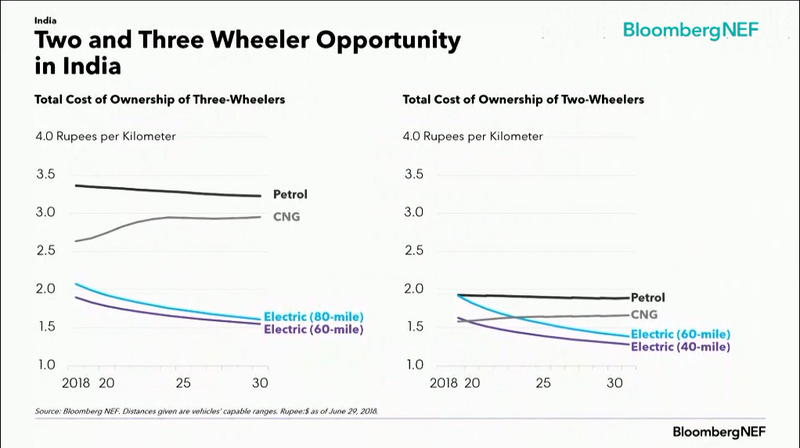 Electric 3-wheelers are cheaper than both gas and petrol (gasoline) 3-wheelers. They should all now be electric, but they’re not. 20 million 2-wheelers are sold each year. Costs per kilometre have just crossed over. So, you are going to see a massive boom in 2- and 3-wheel electric vehicles in India, followed in a few years by 4-wheelers. 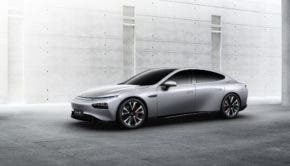 In developing countries in general, the first EV explosion will likely be in 2- and 3-wheelers before it is in the rollout of small, cheap electric 4-wheelers. 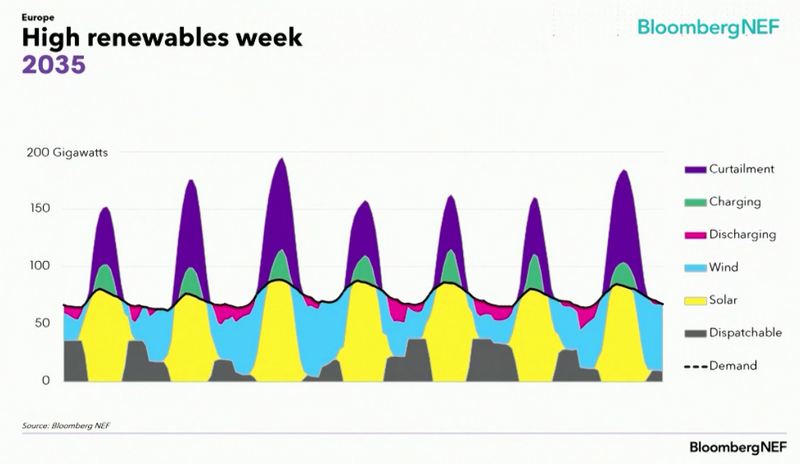 The black line in the graph above shows demand in Europe during the day in a representative “high renewables week” in 2035. 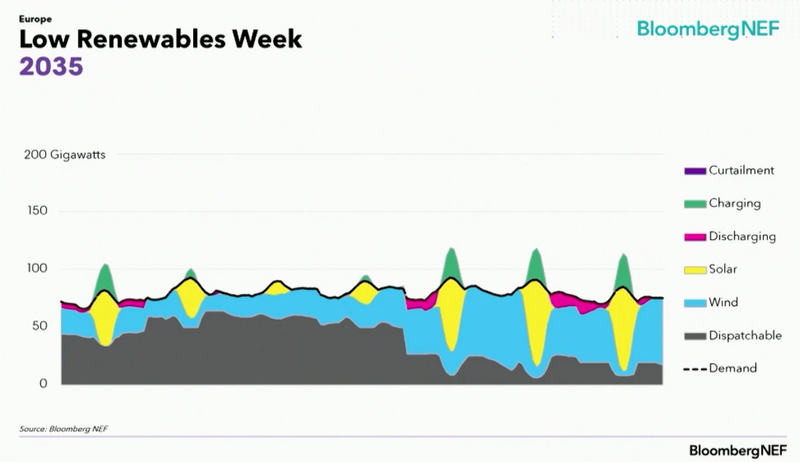 There’s going to be too much power during the day, even after recharging batteries (green), so there will be curtailment (purple). 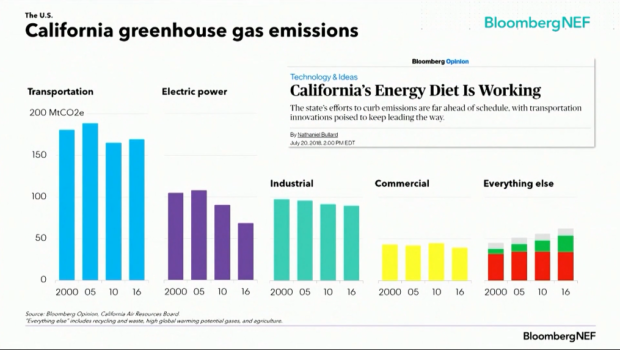 The grey will be coal, gas, biomass, and interconnectors. Note: Coal isn’t really “dispatchable,” because it can’t be dialed up or down fast enough. But gas is. Given that dispatchable power won’t be needed at all for parts of the day, this is bad news for the profitability of coal power stations. This is what a low renewables week in Europe might look like in 2035. Not much wind, not much solar. “Dispatchable” power will be needed to fill the gap. This will require markets which make sure gas generation remains profitable for both high renewables and low renewables situations. There’s been 28% CAGR (compound annual growth rate) since 2000, 50% over the last few years, in the sales of industrial 3D printers. There’s still a low base, but think what has happened with renewables, mobile phones, etc. A 50% growth rate means an 8 fold increase every 5 years. The “learning rate” (learning curve) for 3D printers is eerily similar to the learning curve for energy storage costs. With 3D printing, using aerospace and auto industry data, the cost of manufacturing parts will be down 47%. This is because there’s no cutting and no waste. BNEF has had a far better record forecasting the renewables revolution over the last 10 years than the IEA or BP, both supposedly the doyens of energy analysis and forecasting. But even BNEF hasn’t been optimistic enough in the past about the cost declines, and therefore the growth rates, of renewables. BNEF’s point that markets will need to have pricing which allows dispatchable power to remain profitable even with high renewables generation is very valid. But the mechanism will need to be carefully constructed: too many capacity agreements are just a waste of money. BNEF’s new venture into analysing 3D printing is fascinating. This is a little-heralded new industrial revolution. SpaceX, for example, has said that it can only build its Raptor rocket engine which will power the new BFR/BFS combo using 3D printing. The original industrial revolution, starting in the late 1700s in the UK (coal). The electricity revolution, really gathering speed from 1900 onwards (coal-based). The internal combustion engine (ICE), which changed everything, everywhere (eventually). The IT revolution (mainframes from the 1960s onwards, PCs from 1980, the internet and mobile phones from the 1990s, smartphones invented by IBM in 1992 but only popularized by Apple 15 years later). Smartphones and laptops led to the rapid development of li-ion batteries, which in turn allow high uptake of renewables and EVs. 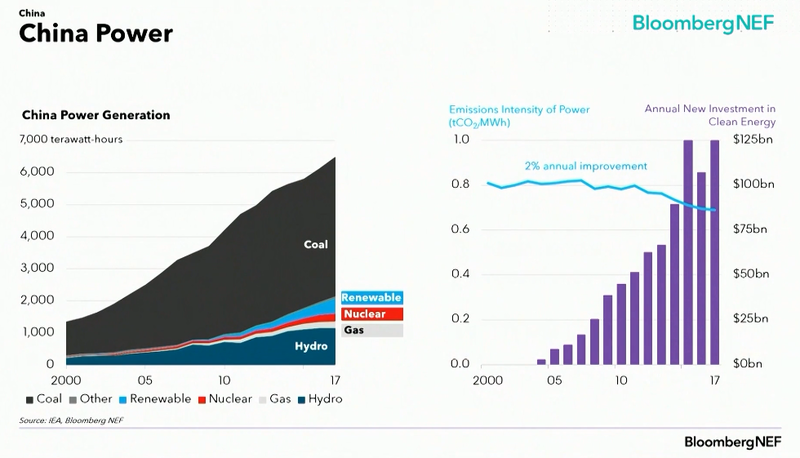 The renewables revolution, leading eventually to the end of coal usage (2000 onwards). Electric vehicles, now combined with very powerful computers/AI and li-ion batteries, replacing gasoline/diesel vehicles (100% of car sales EVs by mid 2020s?). Cheap access to space, leading to who knows what? (Starting in early 2020s.) And cheap space is only possible because of re-usable rockets, which is only possible because of AI/supercomputers. That’s one of the reasons we had to wait so long after the Apollo missions — we didn’t have to computer power to safely land rockets with retro-propulsion. Consider what new technologies will need to be invented or perfected to allow human settlement on Mars or in the asteroid belt. And how these will transform life on Earth too. Just one example: SpaceX will need to create a machine which will extract CO2 from the atmosphere and combine it with H2 to create methane (the Sabatier process) to refuel its BFS on Mars. This will be immensely useful on Earth, allowing us to replace natural gas with carbon-neutral synthetic natural gas. Overall, this presentation made me feel much more confident about the future of mankind, despite Trump and the troglodytes. Despite worries about China’s transition to renewables, I’m sure they will make that transition. And, fortunately, India will never need to build out a vast network of coal power stations like China did to get its development rolling.